Mowing the sward, preparing surfaces for renovation. 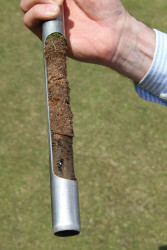 Grass growth will be influenced by soil and air temperatures. Once we begin to see temperatures rising consistently above 8 degrees centigrade, grass growth will be stimulated and mowing will be required to maintain sward at between 8-12mm. Fertilising. Soil temperatures should and will begin to rise towards the end of February/early March, enabling the grass plant to make use of any fertilisers being applied. The grass plant's transpiration/respiration rates need to be active to initiate movement of soluble solutions from the soil into and through the plant's tissue. To ensure you are applying the correct amount and balance of fertilisers for your turf, it would be useful to have a soil analysis undertaken, which will give you a full nutrient analysis of your soil's requirements. Based on these results, an appropriate fertiliser programme can be initiated for your facility. Aeration. Over the winter months, and weather conditions permitting, you should be spiking the green 2-3 times per month, using 1/2" solid tines to a depth of 4". Remember to check the condition of your machinery, and plan to get it repaired/serviced during the winter months. Service and sharpen mowers ready for the new season; it is well worth the money investing in a winter service. Keep machines overhauled and clean. Inspect and repair any watering or irrigation systems; many bowling clubs now have pop-up irrigation systems, so ensure they have been drained down for winter. Organise an inspection, re-commissioning and calibration of the system in late February. 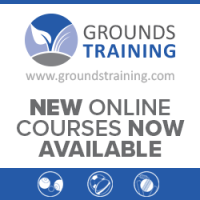 Our Lantra Accredited Bowls Green Maintenance Course is now available as an online course. You can learn about maintaining a bowls green in the comfort of your own home and in your own time. This newly developed course consists of a number of videos with assessment questions, and an accompanying hard copy Course Manual. The Online Course is Lantra accredited and provides you with all the basic knowledge required to maintain a green over a 12 month period. Check and service floodlighting systems; ensuring they are ready for the new playing season. It also important to replace any worn tines on your aeration equipment. Most bowling green facilities are enclosed by fences or hedges and now is a good time to tidy these up. Carry out any repairs to ditches, paths, gates and other building features. If the frosty weather persists over a number of days, it could lead to a number of problems within your irrigation systems, hose pipes and outside taps. 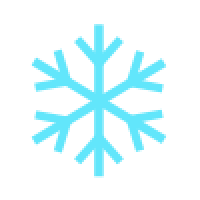 Ideally, any water carrying pipe work should be lagged or protected from frost damage, as this will lead to burst pipes and joints; make sure you keep an eye open for these leaks.